Good news for all you Calvin and Hobbes fans in Baltimore and the DC area. 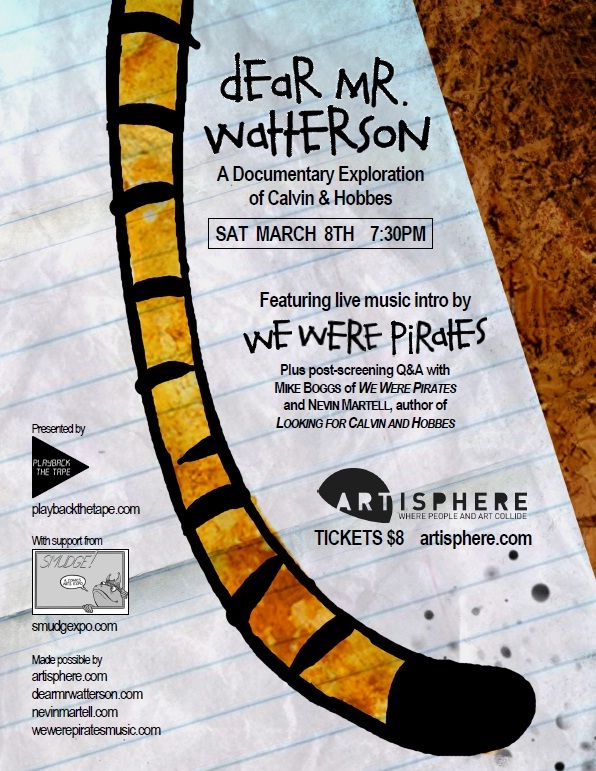 There will be a couple of screenings of 'Dear Mr. Watterson' in the area and we'll be playing some songs from the film score, live, before both screenings. And if people have questions, I'll be sticking around to do a Q & A after each screening. Also, Nevin Martell(author of 'Looking for Calvin and Hobbes' and prominently featured in the film) will be there for the Q & A at the DC screening.